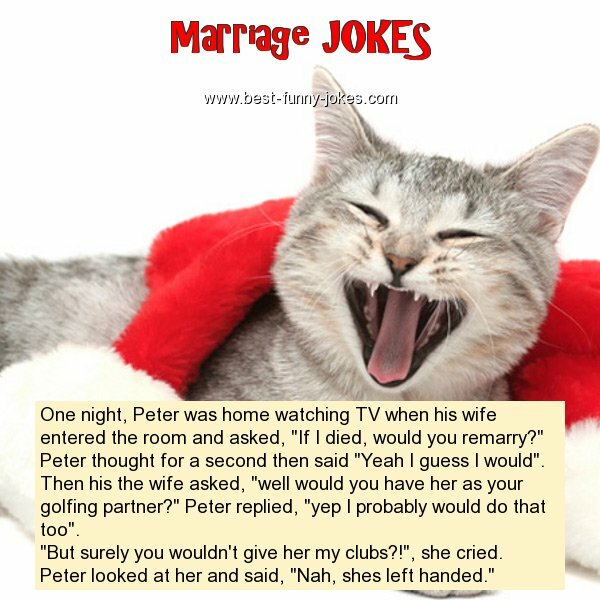 One night, Peter was home watching TV when his wife entered the room and asked, "If I died, would you remarry?" Peter thought for a second then said "Yeah I guess I would". Then his the wife asked, "well would you have her as your golfing partner?" Peter replied, "yep I probably would do that too". "But surely you wouldn't give her my clubs?! ", she cried. Peter looked at her and said, "Nah, shes left handed."